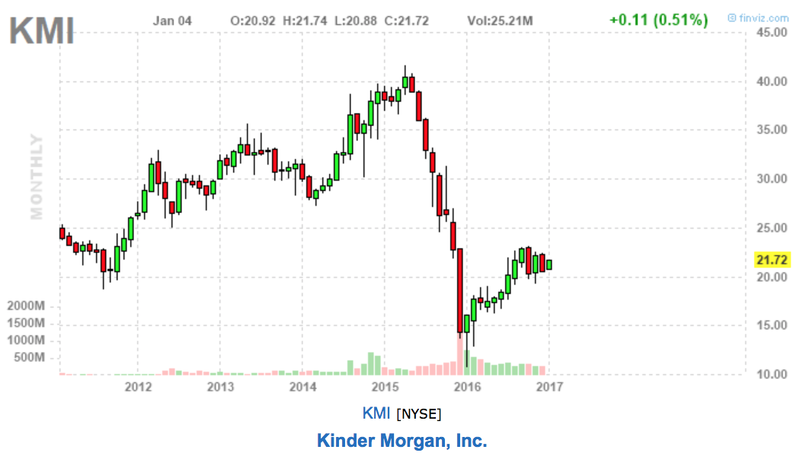 The Kinder Morgan (KMI) bloodbath that culminated in a 75% cut in its dividend last night after the bell and a roughly 60% loss year to date has been sickening to behold. A good deal less so for me as I sold Kinder Morgan Energy Partners (KMP) in the spring of 2014, largely on the recommendation of Josh Peters at Morningstar. For a while this looked too cautious and even a bit foolish as KMI announced its takeover of KMP and both stocks put in a substantial rally. But such is the price of risk management. You give up some potential upside if everything goes great, but you’ll be in better shape if things turn south. I mean “margin of safety” more broadly than just buying at a discount to fair value a la Ben Graham. There was no margin of safety around Kinder Morgan’s business model, leverage, or its distributable cash flow coverage ratio. 1. No Margin of Safety With Its Business Model — While advertised as a simple fee-based pipeline business, a significant portion of Kinder’s business is in enhanced oil recovery — oil production. This was great with $100 a barrel oil, but not so much after it fell to $40 a barrel. So cash flows were punished significantly by the oil price crash. 2. No Margin of Safety With Leverage — Running at almost 6 times debt to EBITDA, Kinder was roughly twice as indebted as its more conservative peers. Thus, it ran out of borrowing capacity when the decline in its stock price made it uneconomic to fund growth expenditures by issuing shares of stock. This crystallized recently when Moody’s put their debt on Creditwatch Negative for a downgrade to junk status. They had little choice but to cut the dividend in response. 3. No Margin of Safety With Their Distributable Cash Flow Coverage Ratio — Kinder Morgan has had the pedal to the floor by paying out every cent available for a long time, computed in an aggressive fashion. This kind of thing works as long as nothing goes wrong. Not very smart to own such a business as an income-focused investor. Inverting the Kinder Morgan case, you want to look for a business with stable cash flows. Or to the degree that its cash flows are cyclical, you want to have excess distribution coverage so the stress on the distribution will be manageable in a downturn. And for sure, you don’t want a company that is levered up to the max in the good times so it has no excess borrowing capacity in a downturn. Ideally, you want a company with a margin of safety in all three areas. 2 out of 3 should be a minimum for consideration. If you can learn these lessons without paying the tuition of a permanent loss of capital, you will be far ahead of the game.